Many publishers in the media consider the Ataribox a rumoured next generation console from Atari, the iconic company of the 80s to be a hoax. However, with more and more information pouring it seems they are indeed working on one. Just because the people behind the console didn’t make an announcement at E3 2017 doesn’t mean they aren’t working on one right now. Besides, creating a completely new console out of the blue is no easy task as the company is not in its strong time for many years now. They should compete with the biggies like Microsoft’s Xbox One and Sony’s Playstation 4 consoles as well on launch. The information comes from none other than Fred Chesnais, CEO of Atari who during an interview with Gamesbeat conference revealed the information. While he didn’t explicitly state that they are working on a console, he did comment that the team has been working on something for many years now and are looking forward to reveal it when the time comes. While E3 2017 is the best event to get the attention of gamers around the globe, it is also the most competitive of them all with Microsoft and Sony’s presence. When two huge companies are vying for attention, it is not easy for a company like Atari to comeback again and make people just like their announcement. While some complain that it could be just like the NES throwback. If that is the case, it hardly requires years of development because all they need is a proper case and put all the old games in it to run like how Atari ran decades ago. The team and the CEO of the company claimed they are investing a lot of timein building the right components so that the machine would stand the test of time. A lot of these information were gathered on the E3 2017 show floor making it difficult to confirm whether it’s a completely new mention. However, Atari also launched a dedicated teaser trailer for the product. It features an old television flickering combined with something that looks like the Atari 2600, the first ever console built by the company. 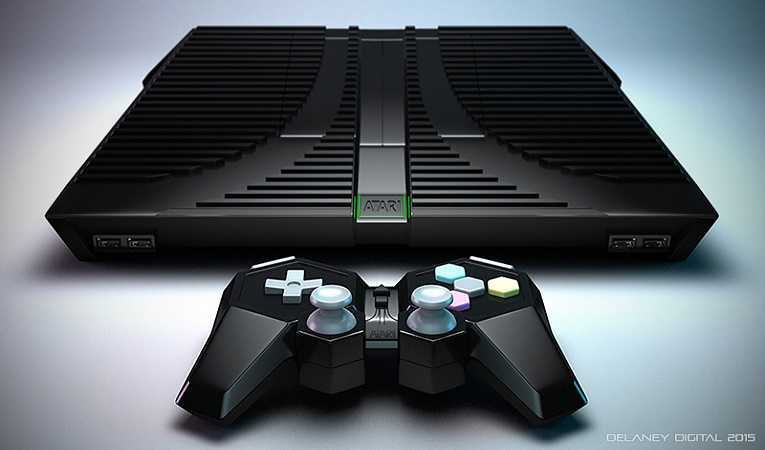 Competing with the PS4 and Xbox One is massive task which Atari may or may not take up by simply launching a retro console. All we can wait for is that the company makes a fair decision and releases a console that would actually matter to the modern day gamer.